Uptown Update: Nick Offerman To Appear At This Week's "Paper Machete"
Nick Offerman To Appear At This Week's "Paper Machete"
It happens every Saturday, but not usually with this much star power. 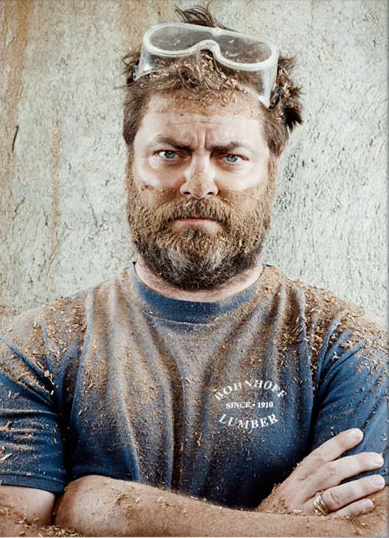 Paper Machete's founder, Christopher Piatt, confirmed tonight that Joliet native Nick Offerman (of Parks & Recreation) will be part of the line-up at this week's show. Paper Machete is the live magazine that takes place each Saturday at 3pm at the Green Mill, 4802 North Broadway. Always fun, and always free! This week's line-up includes Kim Bellware, Adam Burke, Brad Einstein, Natalie Jose, Bill Larkin, and Nick Offerman, plus Chad the Bird and musical guests The Cell Phones.